Water fountain locations across our campuses can be viewed on the maps below. Fountains are available 8.30am-5.30pm, weekdays (excluding bank holidays). We endeavour to maintain continuous operation however there is always a possibility that a fountain may be out of service. If a fountain is not working, the building's receptionist may be able to point you towards a nearby alternative. Ever wondered how much plastic you use? The results of this calculator may surprise you. Why can't all plastic waste be recycled? The UK produced 11m tonnes of plastic waste in 2017, and recycled around two thirds of it. Or so it seemed. 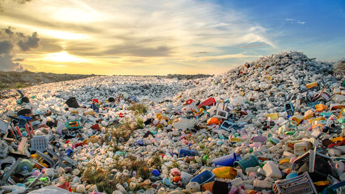 A report by the National Audit Office (NAO) shows that over half of the UK’s recyclable waste is sent overseas for recycling, but much of it is likely to end up in landfill or the ocean instead. Follow us on Twitter and discover more ways we’re making the University of Nottingham greener. Tell us what you’re doing to tackle single-use plastic and we may feature it on the website.